This medium hold, non-aerosol hairspray gives lasting hold, shine and weather protection with no stickiness. The anti-static, anti frizz weatherproof formula allows for easy re-styling. Sunscreen helps extends the life of colour treated hair. For use on dry hair. To use: Spray onto freshly styled hair for lasting hold and weather protection. A must-have for swimmers and healthy holiday hair. The lightweight cream contains sunscreen to maintain vibrancy of colour-treated locks. Expect deeply conditioned, glossy strands from root to tip. 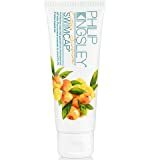 Philip Kingsley present Citrus Sunshine Swimcap; a unique formula that works to protect hair from chlorinated and salt water.